Flexible, as the product can be made according to the customer’s wishes. 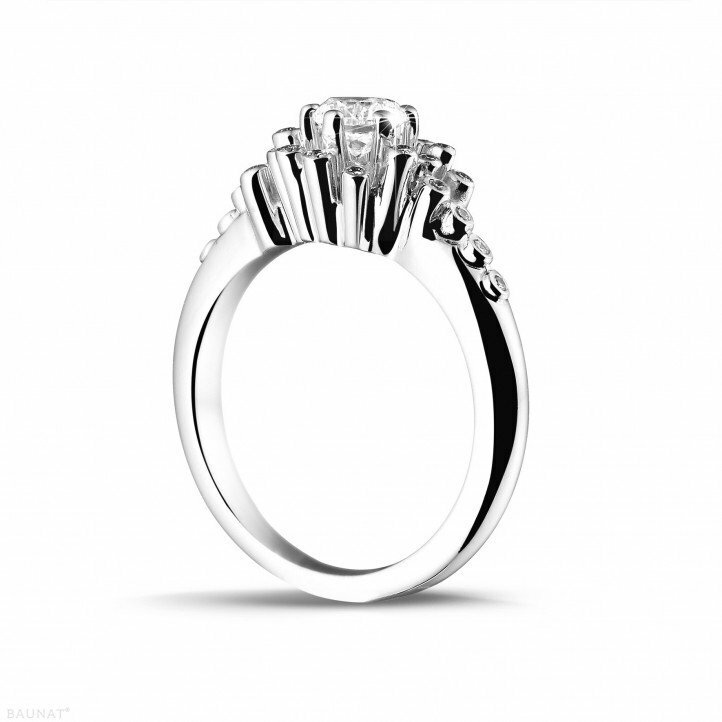 Personal assistance in selecting the diamond ring and lots of options. But most importantly: a beautiful diamond ring and my fiancée was very happy! A good friend pointed us to Baunat.com. Because he was very pleased with his dealings with the company, we started off with much confidence. The process went very smoothly, with excellent communication with the staff and management of Baunat, including in the evenings and over the weekend. 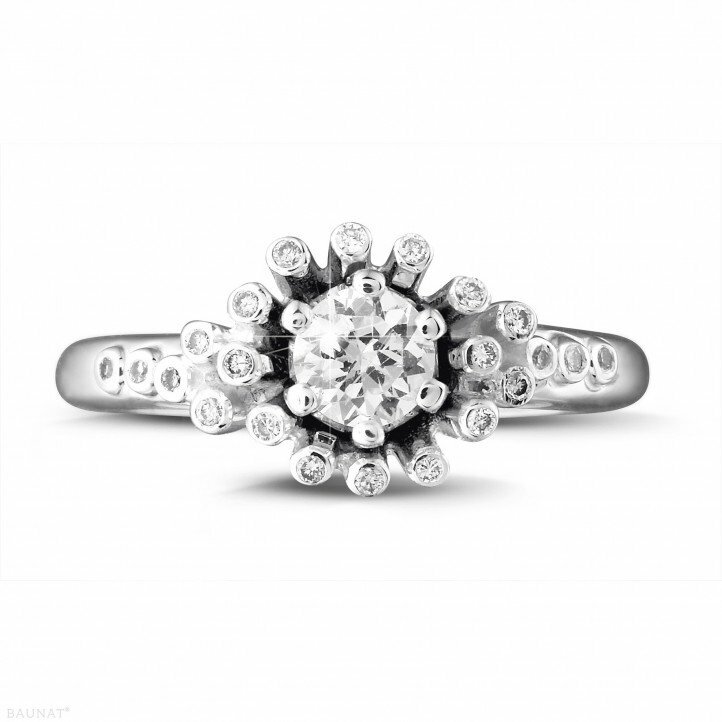 Our search began on the well-constructed website (it’s great that all the jewellery is photographed on the site, as this makes searching considerably easier). 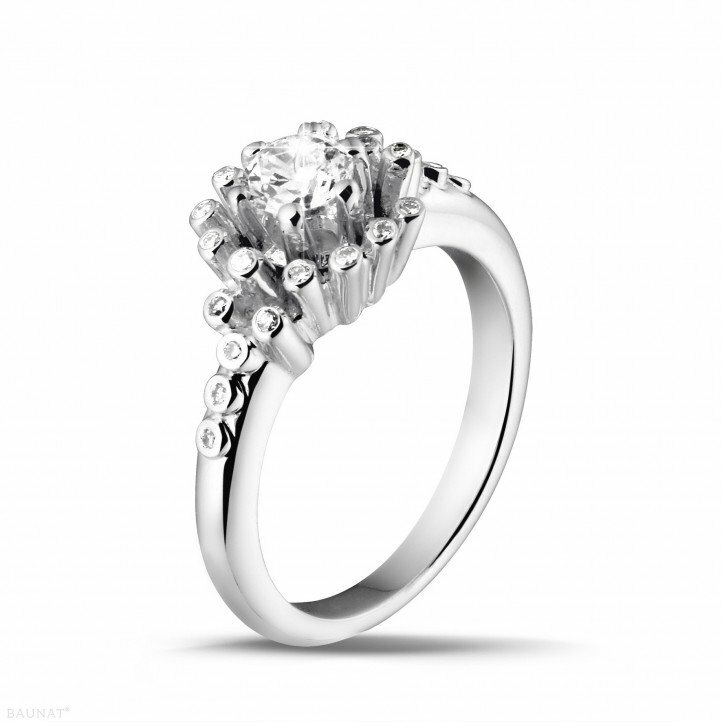 We finally made an appointment to try the ring on in Antwerp and to buy. Because we were travelling from Amsterdam we decided to make an evening of it in Antwerp (and it really is a great city!). When we arrived at Baunat we were helped by the very friendly staff, and because we had made an appointment they gave us all the time needed for personal advice. It is important to note that this (the friendly service and the professionalism) is provided at a very competitive price. A few days later I told another friend that we went to Baunat in Antwerp to buy jewellery. He was quiet a moment, then smiled and told us he had also been to Baunat. Neither of us knew the other had been there, and we concluded that it couldn’t have been a coincidence! He is likewise very happy, and we will undoubtedly return. I ordered the jewel just before my holiday, and it arrived the day before I left. My girlfriend had a wonderful holiday with a lovely present!